If you know me (and honestly, even if you don't know me), you probably know by now that I'm nothing if not sentimental. I ordered my Mushybooks many months before my due date and, when it arrived, spent many hours gawking at the gorgeous pages and dreaming about the days when I'd be able to fill it. Mushybooks has been a favorite baby brand of mine for a while now, so I'm excited to share it again with you. 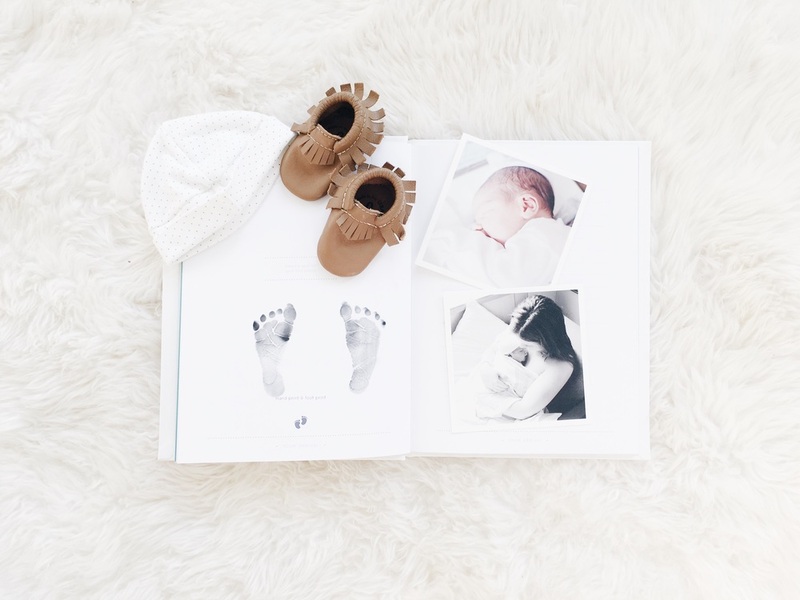 It's a beautifully modern take on the traditional baby book, comes in adorable themes like Into the Wild and Babyville (the one I have), and offers awesome add-ons like toddler pages and a baby shower page as well as thoughtful options like the adoption book, Wish On A Star, and the mom + mom edition. Because of how beautiful and thoughtfully designed they are, I think Mushybooks is the perfect baby shower (or just because) gift for every mom-to-be. Add in some nice pens and a gift card to Artifact Uprising, and you've got yourself an A+ baby shower gift. Now, off to finish filling mine up!